management of federal west coast fisheries. 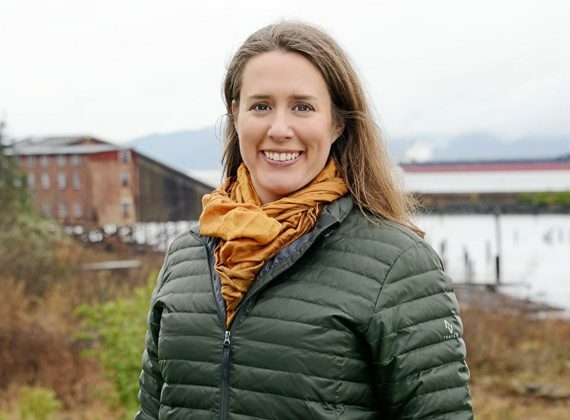 Ms. Svensson was appointed by US Secretary of Commerce Wilbur Ross on June 27, and took her oath of office as the Pacific Fishery Management Council began their meeting in Seattle on Friday. Ilwaco Fish Company/Alber Seafoods in 2017 as the Fleet Manager. In additional to working with fishermen, she serves as the Vice President of the Albacore Fisherman’s Research Foundation, and on the Board of the REALOregon, Resource Education and Agricultural Leadership Program. She is a 2006 graduate of the National Fisheries Institute’s Future Leader program and a 2016 IntraFish media Top 40 under 40. Prior to working at IFCO/Alber Seafood, Christa worked for twelve years at Bornstein Seafoods in International Sales, Sustainability and Marketing. Christa worked for eighteen months for National Seafood Educators where she researched recipe ideas, taught cooking classes nationally, and sold thousands of seafood cookbooks. She fished professionally for salmon, halibut and sablefish in Alaska for seven years while paying for undergrad and graduate school. She attended Oregon State University earning an Honors Bachelors of Arts in Anthropology. In 2003, she earned a Masters of Arts in Museology from the University of Washington with a focus on fundraising and development.